After you play this upgrade, give attached character 1 shield. Attached character can have 1 additional shield. 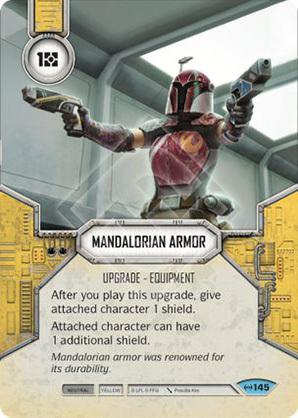 Mandalorian armor was renowned for its durability.